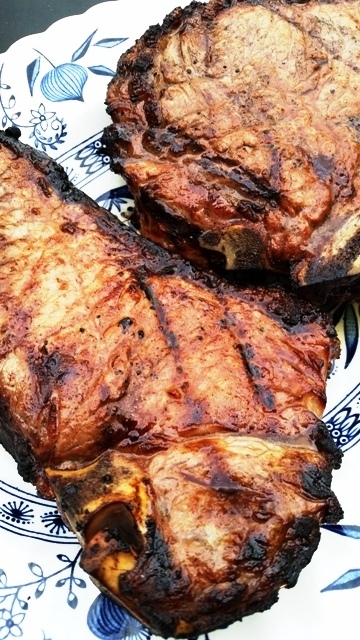 Melt-in-your-mouth tender Rib Eye Steaks marinated with flavorful Kentucky Bourbon Marinade! 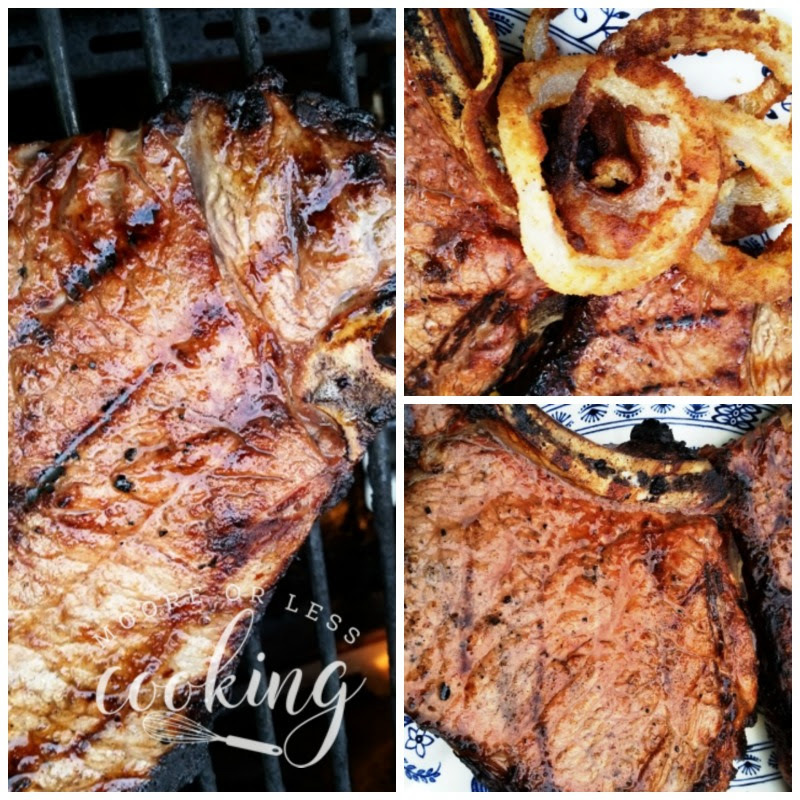 Rib eye steaks are grilled to juicy perfection. 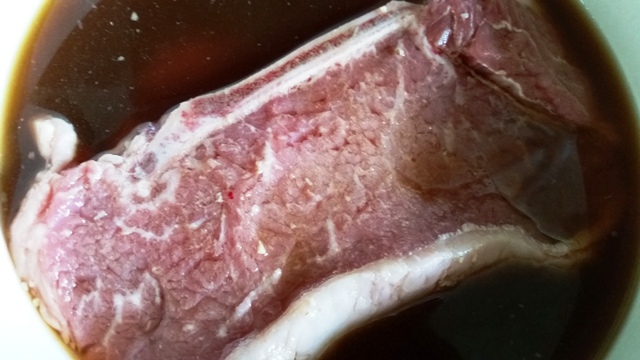 What you will need for this wonderful marinade: 2 Rib Eye Steaks, Kentucky Bourbon, Pineapple Juice, Soy Sauce, Apple Cider Vinegar, water, garlic, Cholula sauce. Mix ingredients in a bowl. Pour over steaks and place in the refrigerator. Discard marinade after using. Grill steaks to your liking. Once you take your steaks off the grill, don’t cut into them right away. 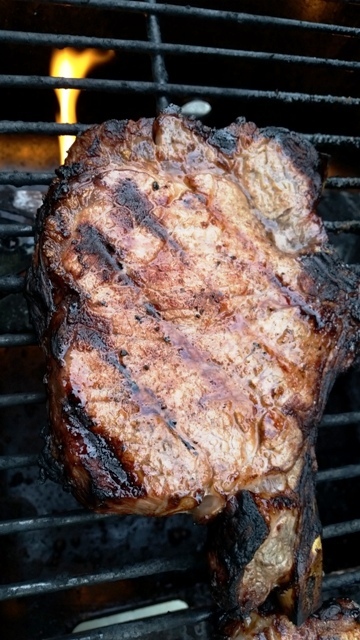 Steaks need to rest so the juices can redistribute. Cover with foil to keep them warm and let them rest for at least 5 minutes. 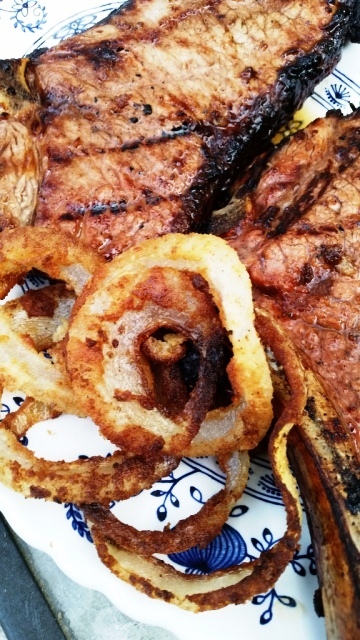 Top Kentucky Bourbon Marinated Steaks with Low Carb Onion Rings for a delicious meal! About the Giveaway! 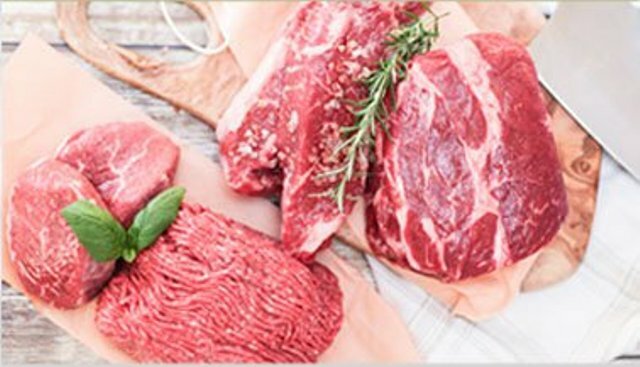 ButcherBox delivers 100% grass-fed beef, organic chicken and heritage breed pork directly to your door on a simple monthly basis. Their dream is to make grass-fed beef more accessible than ever before and serve as the neighborhood butcher for modern America. With less fat, calories, and risk of dangerous bacteria, grass-fed beef hosts a range of health benefits over conventional grain-fed beef. ButcherBox meat has never been given antibiotics or growth hormones. Each box comes with a curated selection of top cuts and enough meat for 15 – 20 meals, at about $7/meal. About a year ago the team launched a Kickstarter for their 100% grass fed beef delivery service. Within 2 days it was 200% funded and by the end of their campaign they ended up beating their goal by 840% making it one of the top food products on all of Kickstarter. Since then the team hasn’t stopped. So far ButcherBox has delivered over a quarter million meals and counting! They have continued to improve the product, add new options and grow it into a very successful business. The Founder is Mike Salguero. ButcherBox is a monthly delivery service for All Natural 100% Grass Fed Beef, Organic Chicken and Heritage Breed Pork. After doing some research, Mike discovered that not everyone has access to Grass Fed beef, and even if people have access, many don’t have the freezer space to store the hundreds of pounds that come with many grass fed purchases. These factors help to explain why less than 1% of the total beef consumed in the United States is 100% grass fed. He dreamed of a world where he could make All Natural 100% Grass Fed beef available to anyone who was looking for it. It has been a long journey so far, and a lot of progress has been made. They are building something truly special here, and they invite you to join them in spreading the Back to Nature Revolution all across the nation. 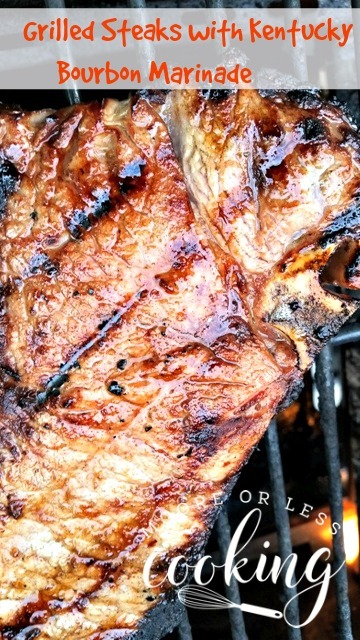 Grilled Steaks with Kentucky Bourbon Marinade and a ButcherBox Giveaway! In a glass mixing bowl, stir together the bourbon, pineapple juice concentrate, soy sauce, cider vinegar, water, garlic, ginger, and Cholula sauce. Add steaks to the bowl and turn to coat. Marinate in the refrigerator before grilling as desired. Grill on a Hot Gas Grill, cook to your liking. ENJOY!! 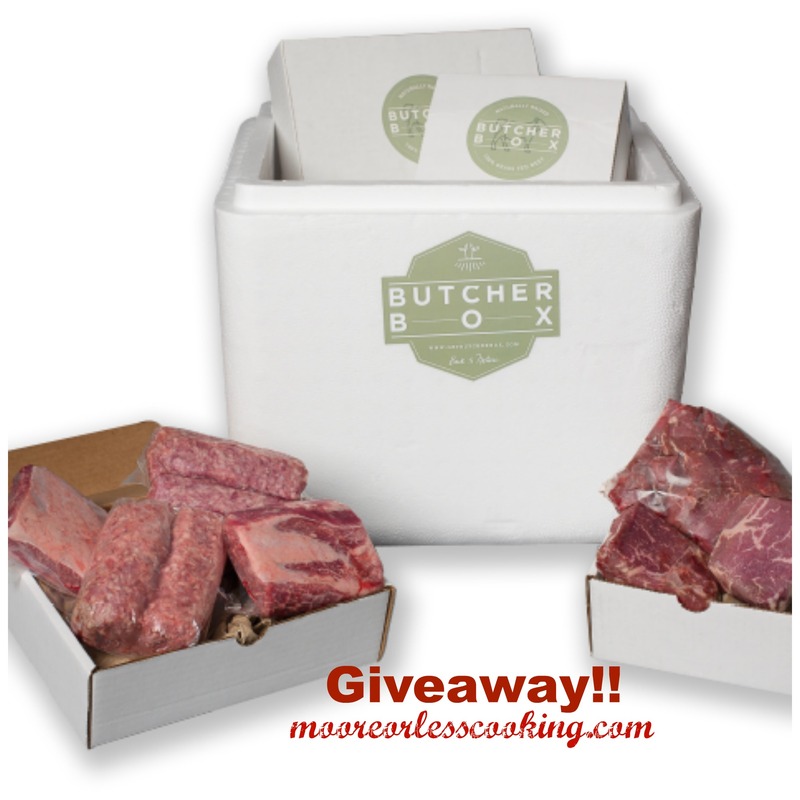 Prize: 1 ButcherBox per One Winner in the USA. Retail Value: $129.00. Giveaway ends October 4, 2016 at 12 am, EST. To win, just leave a comment below telling me what your favorite is: Beef, Pork or Chicken? Posts may include links to my affiliate account at Amazon.com, and Moore or Less Cooking earns a few cents on the dollar if readers purchase the items I recommend, so thanks for supporting my blog when you shop at Amazon! I love all three but pork is my favorite!!! Definitely BEEF is my favorite. I prefer pork or chicken to beef, but all three are pretty amazing! From the Midwest and would hands down say beef. I love beef. Nothing beats a steak! My favorite meat is beef! I love beef but I try to eat more chicken and fish then beef. Beef! For sure, it makes my husband happy! Beef. A million ways to cook it and all of them are delicious. All three 🙂 If I must choose one…beef. I’d have to say my favorite is chicken or fish even though I love a good steak when it’s a special occasion. I make a recipe similar to yours with a bourbon sauce made with sriracha and it is always greeted with oohs and aahs at dinner. So, anyone reading this post, definitely make this recipe! BEEF Definitely BEEF is my favorite. Thanks for promoting healthy, farmed ingredients! My choice would be chicken as I purchase boxes of beef and pork from a local farmer, but chicken is harder to find for me. We love beef at our house. We lovue a good steak. But we eat pork and chicken too! We love good steak. But we eat pork and chicken too! We love a good steak. But we eat pork and chicken too! My favorite meat is beef! Thanks for the chance at an AWESOME giveaway! This is ver exciting. 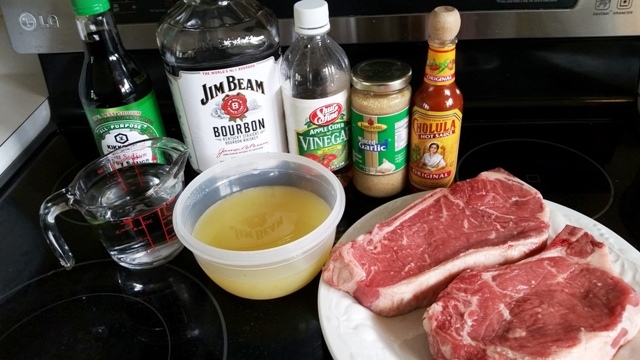 I want to make the ribeye and try the bourbon infused marinade. Wish me luck!i love your blog. I love beef and ribeye is my favorite cut! This looks great. I think the Beef looks best. My favorite is chicken, it’s more versatile. nothing like a steak and bourbon!! BEEF!! I love beef, pork and chicken! All are great! THE GRILLED BEEF LOOKS DELICIOUS!! Beef is the favorite meat at our house. I have a question. We are not drinkers at our house. Is there any substitute we can make for the bourbon? Thanks and I’d love to win! I give this recipe an top rating!! An A plus! I would substitute the bourbon with apple cider. I like everything. So hard to decide. I love me some 🍗! !